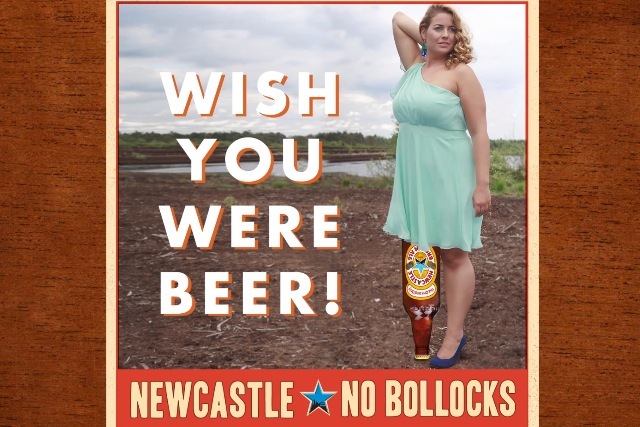 The idea that user-generated-content is actually any good is humorously subverted in the latest US promotion for Newcastle Brown Ale, with a social media-driven campaign inviting people to send in rubbish photos of themselves and embrace their mediocrity. The thrust of the campaign is a tongue-in-cheek video explaining the stunt and requesting consumers help Newcastle Brown "get people to actually drink our beer". In a Geordie-meets-Yorkshire accent modified so penetrable to American ears, the voiceover tells viewers: "We’re so good at beer marketing, we can turn any photo, no matter how boring, into an ad to sell Newcastle. "Which is great because we’ve totally blown our marketing budget by paying celebrities to pretend to drink our beer." The campaign invites users to send in their boring photos using the hashtag #NewcastleAdAid. The selected shots will be made into wilfully rubbish ads. The campaign is a sly dig at Miller Lite’s national TV ad featuring photos of real consumers that were selected following a social media call-to-action. Newcastle Brown’s own call-to-action tells viewers: "Submit your (mediocre) photos…and if you’re lucky, we’ll exploit your photos." Earlier this summer, in similar tongue-in-cheek style, Newcastle Brown offered consumers a $1 bribe to follow it on Twitter.